Marty and Nancy Richards purchased 350 acres near Madras and began farming full time in 1989. Prior to that, they had lived and worked near Portland and grew hay and raised cattle in their spare time on a small 20 acre farm. When they moved to Madras their three children (Gary, Katie and Kevin, ages 11, 9 and 6 at the time) contributed to the farm: picking rocks, changing irrigation and eventually operating equipment and taking on more responsibility. The three kids became active participants in 4-H and FFA, and Marty and Nancy became active volunteers, resulting in the family being awarded the Oregon State Fair Farm Family of the Year in 1994. Currently, the Richards family grows hybrid carrot seed, Kentucky bluegrass seed, peppermint oil, wheat and hay on 620 irrigated acres. Their interest in sustainable practices has led them to implement technology such as drip irrigation, Scientific Irrigation Scheduling (SIS) and wireless irrigation monitoring to improve water use efficiency. Installing GPS systems on tractors has improved production efficiency and reduced fuel consumption. They also use no-till and minimum tillage practices in their crop rotation as frequently as possible and they’ve begun incorporating cover crops to improve soil health and reduce fertilizer and chemical use. The family’s farming roots still run deep. Eldest son Gary moved with his wife and three girls to a home on the family farm so his children can experience farm life. Kevin, along with his wife and two sons, has purchased the property next door and moved back to Madras to farm full-time. Daughter Katie and her husband Brent live just over the mountain in Hillsboro, where she works for Intel. Kevin Richards was recently honored with an Oregon Farm Bureau Top Hand Award during the 84th Oregon Farm Bureau Annual Meeting in Salem for his leadership on many critical ag issues at the county level and for his work to connect local students with agriculture. The Richards family began making improvements on Fox Hollow Ranch in 1989, when they purchased the property, and continue today. These investments include: piping, ponds, improvements to soil, pumps, irrigation, and the modernization of equipment and practices. These changes and investments have produced returns by reducing fertilizer, fuel and pesticide needs, while improving efficiencies and productivity. The sustainable practices utilized by Fox Hollow Ranch produce savings in water, energy, labor, and other inputs. 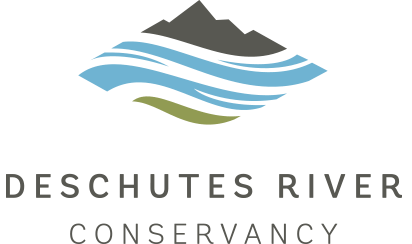 Contact Gen Hubert at the Deschutes River Conservancy for great ideas on how to use less water in your growing season.